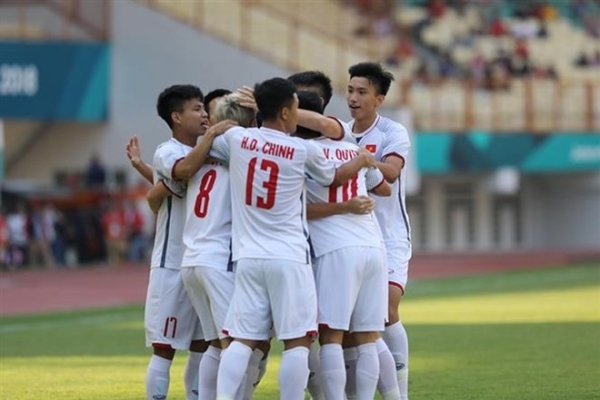 Vietnam’s football team secured the top place of Group D at the 2018 Asian Games (ASIAD) after beating Japan 1-0 in the third match in Indonesia on August 19. The last group stage match between Vietnam and Japan took place at the Wibawa Mukti Stadium in West Java, Indonesia. In the 77th minute, Nguyen Quang Hai left the game with injuries. He was replaced by Phan Van Duc.